Big mountain line slayer Jeremy Jones announced his resignation from Rossignol yesterday on his blog. As of today I am no longer working with Rossignol Snowboards. It has been an amazing experience and I want to thank everyone at the company for supporting me the last 19 years. You always gave me the freedom to do what I wanted with my snowboarding. Off the hill I learned a ton about how to develop snowboards from the start all the way to the snowboard shop. This has been my college education. I have so many great memories from my time with Rossignol and I wish them the best of luck in the future. Hope to see you all in the mountains. Stay tuned guys..it will make sense in a few days. In the mean time check this vid from early last season as Mr. Jones hits a slightly rough line. UPDATE: Looks like the Nidecker rumor is now official. Coming soon as an OEM option? 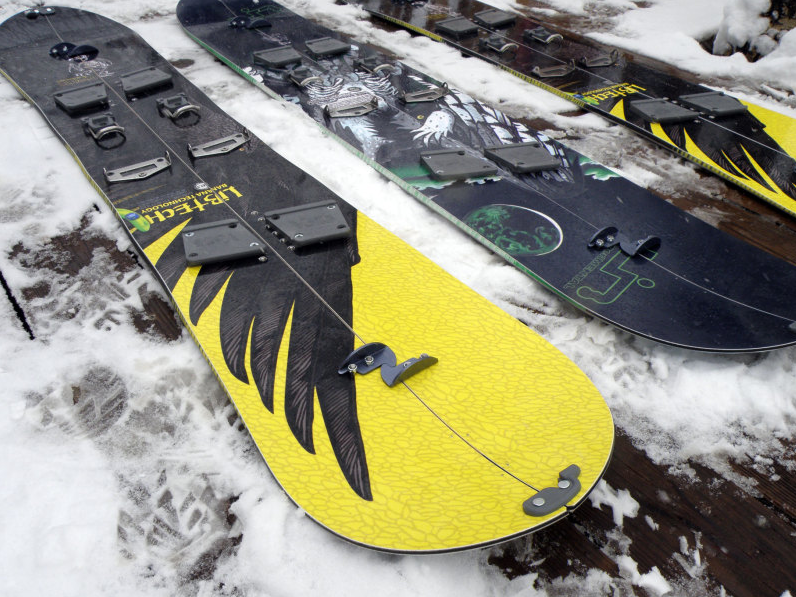 for the record – I never had the opportunity to make a splitboard for Jeremy. I’m not sure how that rumor got started, but it’s not true. It’s not that I wouldn’t have REALLY LIKED too; but our paths never crossed. So who did make JJs splits if you didn’t? What about him heading to Winterstick with Tom Burt? I’m thinking Lib would require him to go to an entire Quiksilver package. I’m not sure who made up his splits – I assumed he made them up himself in his garage. But that’s entirely unsubstantiated. bigdood – as far as I understand it, Rossi was sold by quicksilver to Chartreuse & Mont Blanc in 2008. But your right that it’s definitely a tough market for boardmakers and therefore really tough on the kids sponserships (especially non-competition). Unfortunate, because I get SO much more enjoyment out of watching big-mountain powder than backflips on hardpack. I hope for the best for jeremy and I’m willing to bet he has a good plan to be set in motion shortly! I’m with you on the big mountain stuff over the park and pipe stuff. Spinnyflippy all looks the same to me, would rather watch big mountain, pow and couloir stuff!